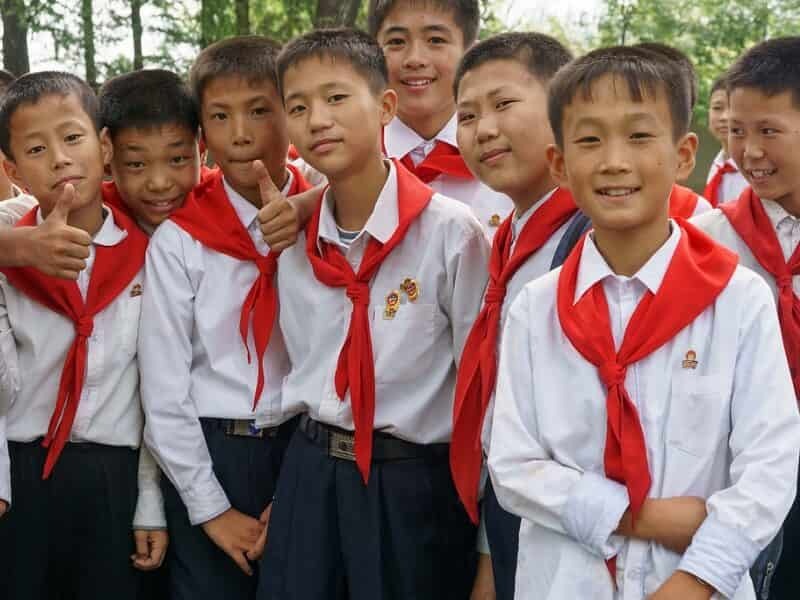 North Korea (DPRK) may not be known as an ideal family or summer get-away, but give it a try then you will find it one of the most unforgettable trips of a lifetime. 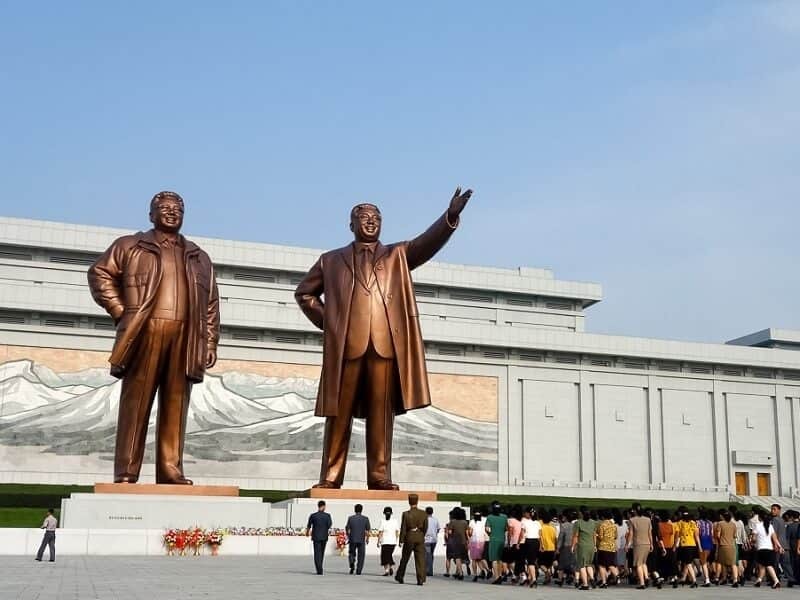 Our Family Tour to North Korea is an annual favourite which gives you the highlights of North Korea, including the capital Pyongyang and historic Kaesong on the Korean Demilitarised Zone, while also taking time to see the country's rarely visited east coast. On the east coast, you will see the port city of Wonsan and the industrial centre of Hamhung, while having the chance to explore the hiking trails in Mt Kumgang. 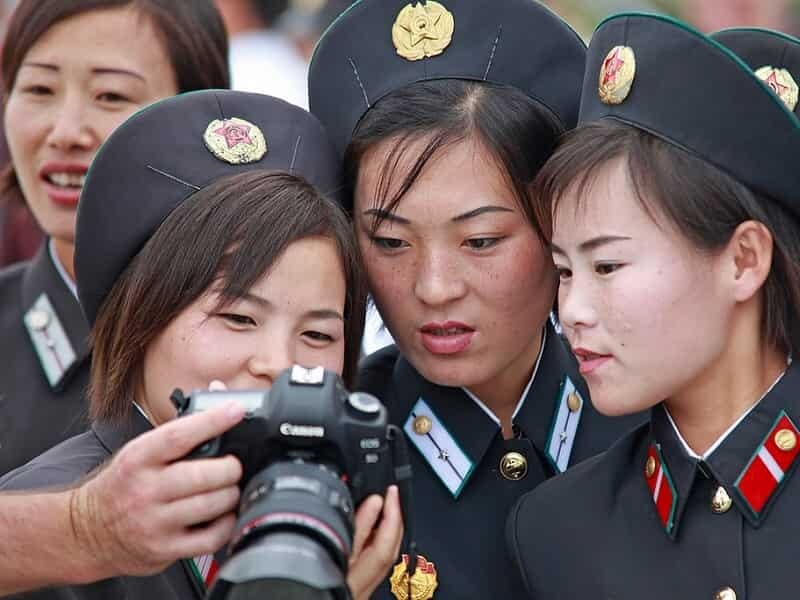 This really is a perfect family (DPRK) North Korea tour for seeing some of the places that are not frequented by tourists. Don’t forget to pack your swimmers if your travel dates coincide the summer time! NOTE: The Palace is open on Thursday and Sunday; and closed during May - June period. Stroll in relaxed manner through the city to the Foreign Languages Bookshop which provides the best chance in the DPRK to pick up postcards, publications, posters and other trinkets that make perfect souvenirs. Then visit the Grand People’s Study House, an extensive library used to further education and the heart of study on the national Juche ideology. The viewing deck here provides a great photo opportunity of the Kim Il Sung Square and Taedong River! After lunch, we will visit the Mangyongdae Native House, the birthplace and childhood home of President Kim Il Sung, a traditional Korean house in a beautiful natural surrounding. 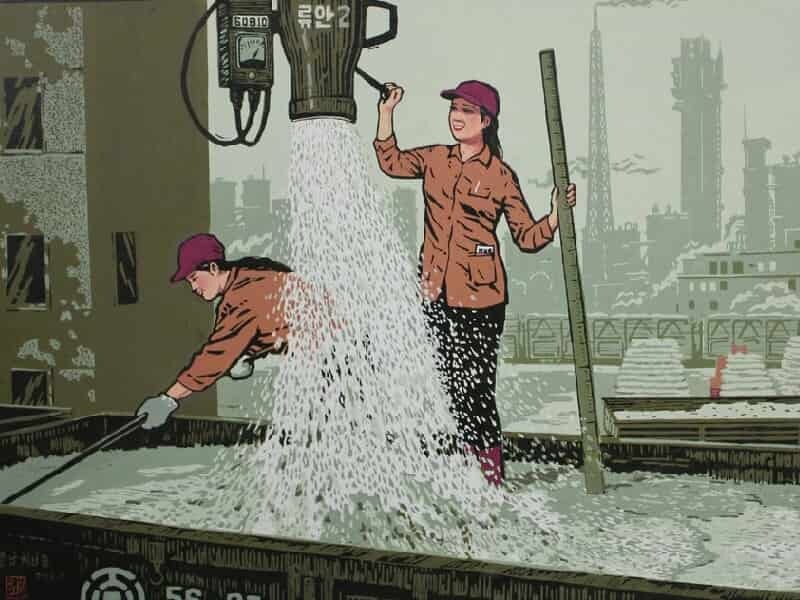 We will then head deep underground to take a 5-stop ride on the Pyongyang Metro, the deepest metro in the world with stunning artwork reflecting the name of each station. Ride six stations on the Chollima Line. Drive south along the 'Reunification Highway' to Sariwon, the provincial seat of North Hwanghae Province and a centre of agriculture and industry. 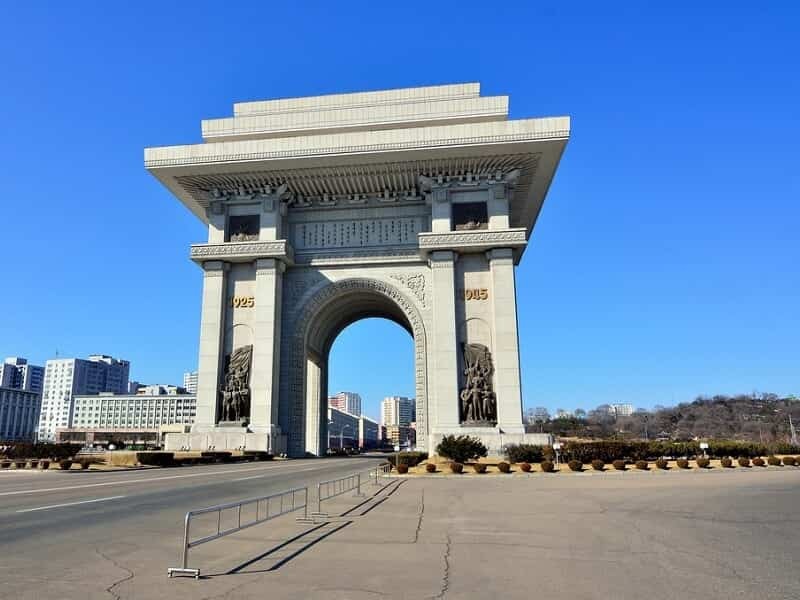 There is an opportunity to make a stop at the Monument to the Three Charters of Reunification, a large stone archway over the highway memorializing joint agreements between north and south. 1.5 hour drive. Once arrival, visit Sariwon Folk Village and City View, mock-up of a traditional Korean town which includes a history museum, food street, and pavilions. There is a small tavern or pub selling Makoli, traditional Korean rice wine. Climb a nearby hill for a view of Sariwon City and the surrounding plains. Continue to Kaesong DMZ, historic capital of the Koryo Dynasty (918-1392) and today located near the Korean Demilitarised Zone. Your travel to North Korea tour is not complete without a visit to this historic place. Take this chance to visit the tomb of the 31st king of the Koryo Dynasty, King Kongmin, a talented statesman and prolific painter, and his Mongolian wife. The tomb was recognized as A UNESCO World Heritage Site. Overnight at hotel in Kaesong. Waking up in Kaesong is the rare experience few North Korea holidays can give you. After breakfast, visit the Old City Walk and South Gate. A morning stroll through Kaesong’s historic district lined with homes dating back to the late Ri Dynasty to the city’s historic South Gate. We will head for the DMZ where we’ll hear from our guides a perspective of the Korean War that often gets discredited or unheard. At the DMZ, explore Panmunjom Armistice Village, shake hands at the exact place that the Armistice Agreement was signed between UN forces and the DPRK in 1953, and wave hello to the South at the blue houses in the Joint Security Area. Here we will be accompanied by military guides from the Korean People's Army. 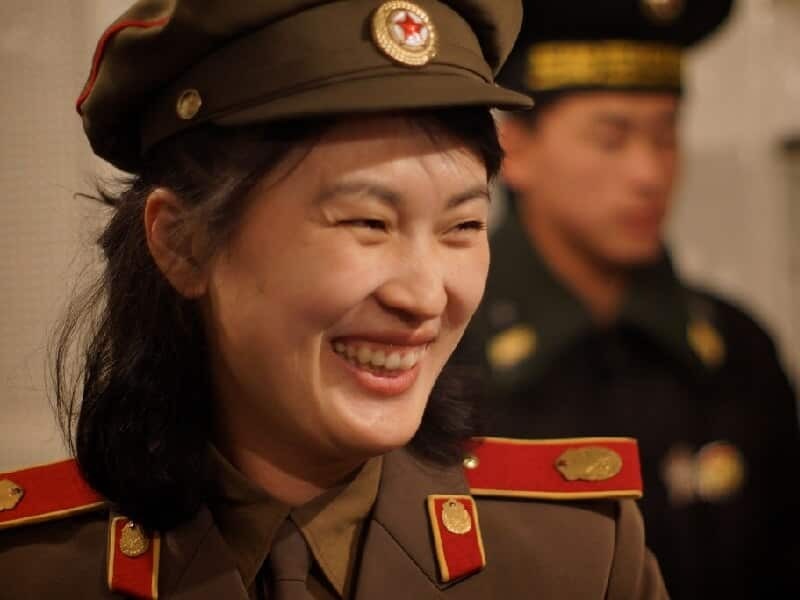 On our return to Pyongyang, we will visit the newly renovated Victorious Fatherland Liberation War Museum and the USS Pueblo in its new spot (the “American Spy Ship” captured in 1968). We will then enjoy dinner at a local Korean BBQ restaurant, a favorite among locals where we will cook our own meats at the table! End the night with a casual evening walk on the new Ryomyong Street, home to Pyongyang’s most extravagant apartment complexes and opened in just April 2017 to international media attention. 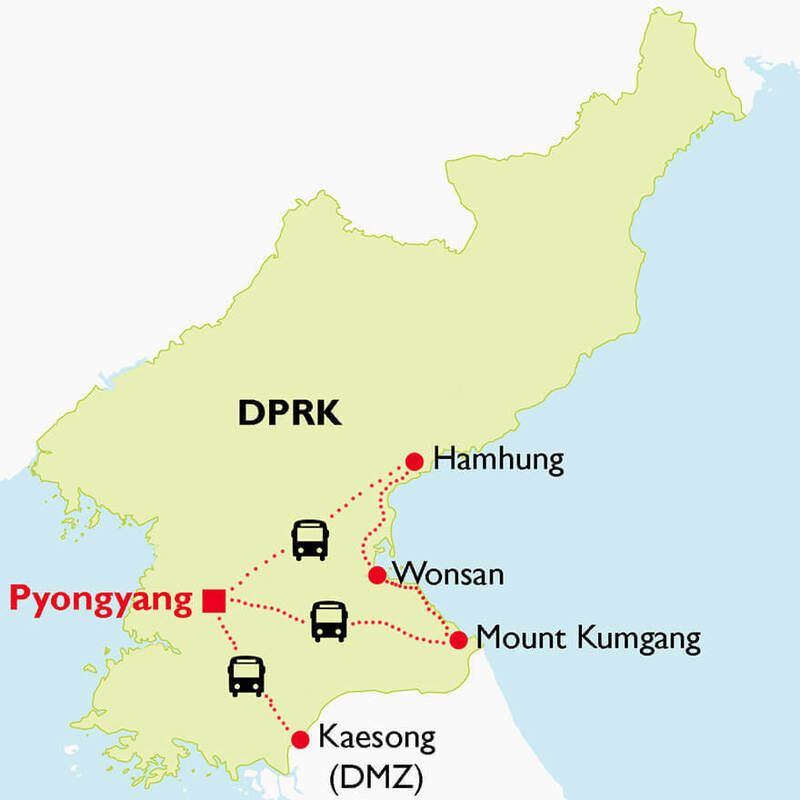 Drive east in 6 to 7 hours across the width of the peninsula before heading north to Hamhung, the second largest city of the DPRK and major centre of industry. 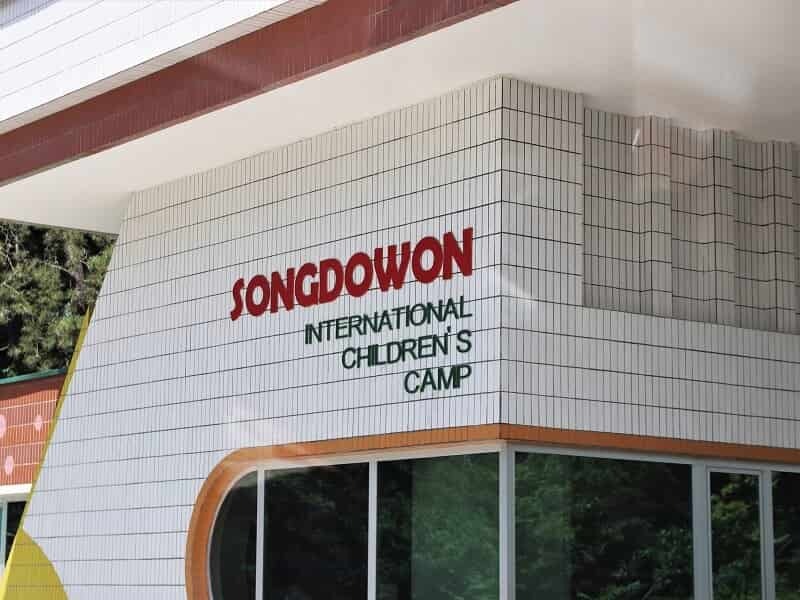 Enroute we will have some rest stops at Sinpyong Lake and Ulim Waterfall near Wonsan. Hidden amongst the mountains on the road to Wonsan, ‘Echo’ Waterfall is a scenic stopover to enjoy lunch, stretch you legs, or go for a dip in the pool beneath. Start the tour in Hamhung with a visit to the Tongbong Co-operative Farm, a local farm in the outskirts of Hamhung. View the machinery barn, a local home, and the farm shop to buy some locally made products. It is a model village with about 1000 farmers. They grow rice, paddy rice, millet, corn, vegetables, poultry and pigs. There are kindergarten, and shop (enjoy local shopping) in the farm. You will also have a chance to visit a farmer's house. Continue to Home of Ri Song Gye, home of the first king of the Ri Dynasty (1392-1910) who extinguished the Koryo Dynasty, only to be then ousted by his own son. A traditional hall and pavilion and associated naughty stories of the former king’s retirement years – some not appropriate for the youth! Overnight at the hotel in Hamhung. In the morning, we visit the Hungnam Fertilizer Factory, a massive chemical-industrial plant producing various kinds of fertilizers. Tour of the plant control room, production facilities, and packing plant - just don’t light up next to the Ammonium Nitrate! Then visit the exterior of the Grand Theatre and Central Square, the largest theatre building in the country. Drive south to Wonsan, a major port city on the East Sea, stopping at scenic spots along the way. 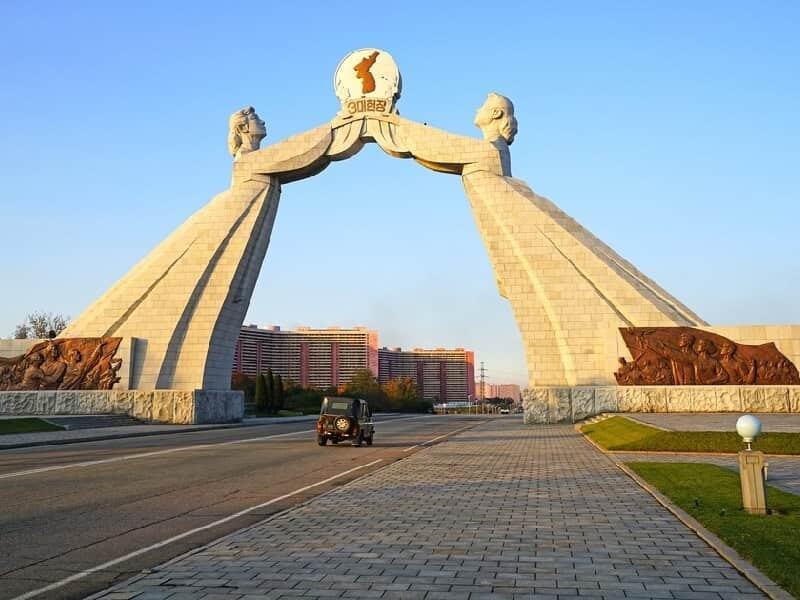 Afterwards, stroll into the city of Wonsan and have a guided tour of the Revolutionary Sites that played a prominent role in the fight against Japanese occupation and the Korean War. We will also get a tour of the Wonsan University of Agriculture, touted as the top institution for agricultural development in the country. The DPRK’s premier agricultural university set among beautiful hillside scenery. Tour the grounds and the neo-Romanesque teaching hall, originally built by Germans living in the area in the early 20th century. 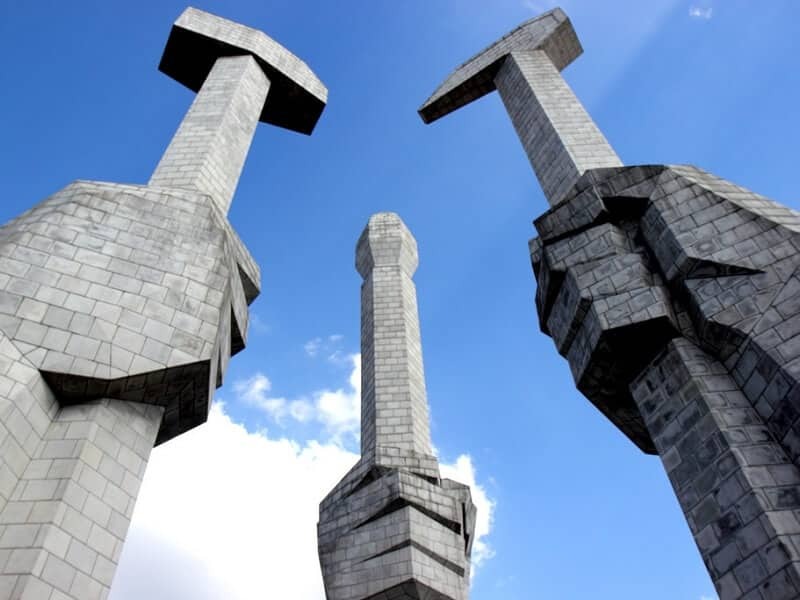 Visit the Wonsan City Docks which includes a central square and bronze monuments to the Great Leaders. Walk along the pier between dozens of fisherman to the Jangdok Islet where you can buy seafood that was caught just seconds ago by local vendors. We will get a picturesque view of the Wonsan skyline from here. Enjoy a city leisurely stroll through Wonsan before settling in for dinner at a local seafood restaurant. Overnight at the hotel in Wonsan. Enjoy a 2.5-hour drive south along the East Sea coast to the scenic Mount Kumgang, the ‘Diamond Mountain’ noted in East Asian history and famous in Korean legend. Home of some of Korea’s most spectacular natural landscapes and best hiking. OPTIONAL: Back to the hotel, you can relax in the facilities of Kumgangsan's hot spa or treat yourself to a massage (approx 10-15 USD). This is a highlight of any trip to North Korea. Overnight at the hotel in Mount Kumgang. Spend time to relax and swim on the beautiful beaches of Wonsan. Before we leave back for Pyongyang capital, you can take the new Masikryong ski lift to the peak for an incredible morning view over the untouched mountain ranges. OPTIONAL: The ski lift is optional and the fee a 15 USD fee to be paid at the ski lift. Watch North Korean countryside life goes by as we head back to Pyongyang. On arrival, you will be treated to a dinner on the new full service ferry, Mujigae, docked on the Taedong River across from the Juche Tower. Another choice is to visit the Mansugyo Beer Bar, a new standing bar serving seven type of local beer (Optional: 0.50 -1 EUR per beer). This bar is popular with locals after work. Those who want to swim, rock climb, get a haircut and work out all in the same place can visit the Munsu Water Park, a massive water park in North Korea! It is opened to locals and foreigners alike (Optional: 2 EUR entrance fee, 10 EUR access to pools, 2 EUR rock climbing).